I'm pretty sure these aren't "grays", MA. I think they were another color originally. 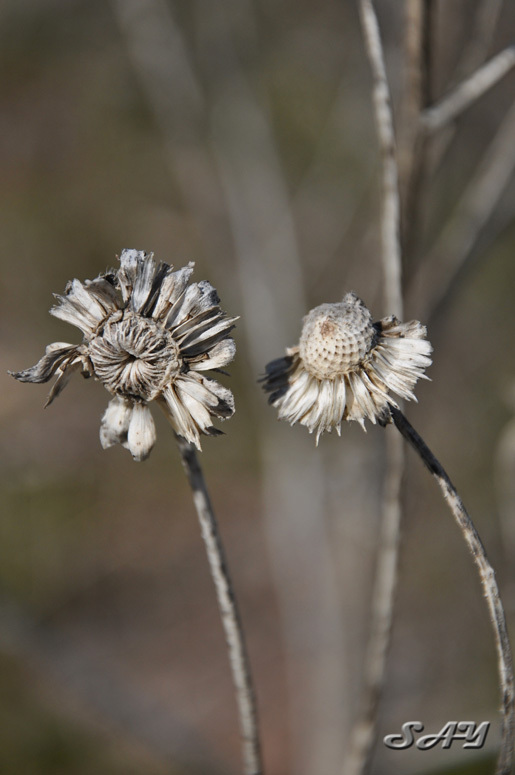 They are 'deads' ... you Canucks are funny with your obsession with dead flowers and weeds. Nicely done....I like the dead stuff too....sometimes it is as interesting as the live. Sorry, MA, the farthest I've ever been into Canada is Boblo Island, and that was years ago. Casil, Gale, yes the dead stuff gets interesting, especially when the wind has been working them over. This was on the river access by the golf course. Oh I do apologize Q1 I should check the locations a bit more before I say something like that. Really??? We sound the same as Kiwis to you??? We can barely understand them!! I go back for a holiday every 5 years or so and I have loads of trouble understanding what some of them are saying at times.